What exactly is environmental wellness in homeschool? That was your first question, wasn’t it? When you think about environmental wellness, what do you think of? Most people will likely think more about “green living” and how our environment affects our lives. So environmental wellness in homeschool is going to be how our environment affects us in our day to day lives as we are homeschooling. It also will deal with how it inspires us or does the complete opposite in our homeschool. 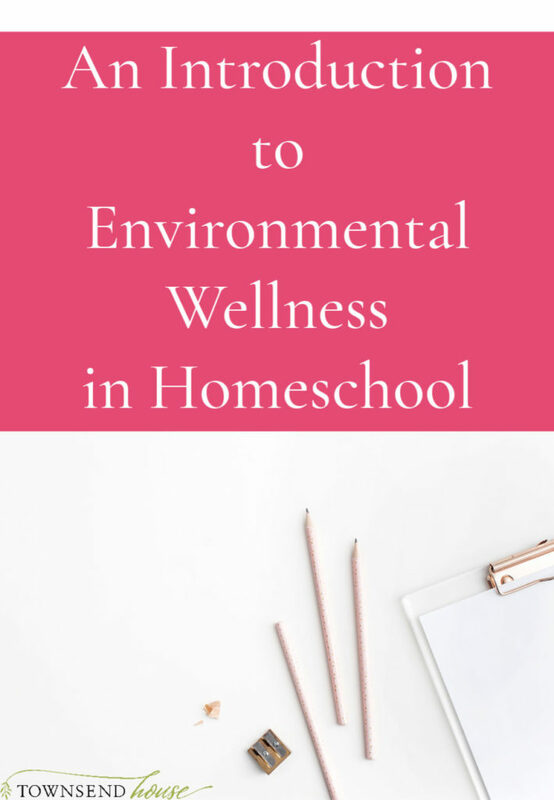 Environmental wellness in homeschool is everything from how you set up your home for homeschooling, to the different products you use to clean your home. It will be on the general feeling of your home in general. But, it will also be on how you interact with nature and the world around you. It is the perfect place to land after our month of Emotional Wellness in Homeschool. Once you are able to work on strategies for wellness on the inside, the next logical step is to work on the exterior factors that influence wellness. It is easy to get overwhelmed when your environment is not quite right, so we are going to dive deep into making your environment what it needs to be for you. Throughout the next several posts we will be discussing exactly what we want our environment to be and feel like for our homeschool. This is one of the best ways to bring simplicity into your homeschool, create an environment that works for both you and your kids. 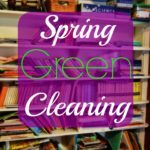 We will be going through a spring cleaning of our homeschool areas, of the books we keep on our shelves, as well as the other areas of our home that have an impact on our day. For me, one of the biggest areas is the kitchen. When my kitchen is working well, the rest of my home seems to work well. Part of that reason is that I am in the kitchen a large portion of the day – my kids tend to eat constantly. What exactly do you want your environment to feel like? What are the ways that it can encourage a love of learning for your family? You want an environment that produces peace, but also productivity. Do you have an organizational strategy that allows you to find what you need when you need it? You need inspiration. And you need to be able to have a healthy environment for you and your kids. 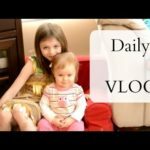 Decluttering is going to be the first step towards environmental wellness in homeschool. Do you know why? Getting rid of the extra stuff is going to be freeing. That weight that you feel, that is a lot of extra stuff in your home. Hopefully, after we worked through emotional wellness last month, you will have noticed that you feel a bit lighter from understanding real strategies to work through emotional struggles in your homeschool. You want to create more consistency, and decluttering will help you. Why? It helps to free up the mind space in order to move forward. It sounds silly, doesn’t it? 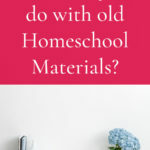 That letting go of physical items in your home will help you with consistency in your homeschool. But, when we have all this stuff that we need to take care of, it takes up space in our lives that can otherwise be used for something productive and/or enjoyable. If you commit to letting go of that stuff, you will feel better about your every day by not having to think about all the extra stuff in your life. We will be talking about de-cluttering, but more importantly a term I heard from Brooke McAlary in her book Slow. De-owning. It is great to de-clutter your home. However, if you then end up replacing the stuff that you de-cluttered with more stuff, have you really even done anything? So we are going to talk about de-cluttering, but we are going to do it in the context of de-owning so that we do not let these things creep back into our lives. We are moving into spring, and that means spring cleaning. You need to be able to shake off the snow of winter and get your home ready for a wonderful spring and summer. When you get your house ready for spring and remove a lot of the dead air as well as all the extra junk, you will feel freer. You will feel lighter. This is exactly what you need in order to move into late spring and summer when you start to plan out your next homeschool year. If you don’t have that clear space, you won’t concentrate on school planning effectively. Instead, your mind will continue to drift to all the other stuff that needs to be done. That’s OK! We are going to work through it together. Creating the mind space to move forward and think about other parts of your life is important, and environmental wellness is one of the ways we can do that. Spring cleaning with kids can be challenging. It isn’t very easy to KonMari our way through our home with kids running around. Instead, it takes longer, and we have to acknowledge that challenge from the beginning. Otherwise, you will get utterly frustrated and that is not the purpose of environmental wellness in homeschool! Since we will be spring cleaning with kids underfoot, it will be important to use tools that are non-toxic. The reason? So that our kids can help us. When you work with your kids to accomplish a goal, things go much more smoothly. Does this mean that you have to buy expensive fancy non-toxic cleaners? The answer is no! There are a lot of inexpensive ways to clean your home and we will talk about those as well. Environmental wellness in homeschool will definitely deal with what is in your home. It will be important to evaluate exactly what you want in your home to create a sense of peace that you desire. This will be everything from how you clean your home, to what you have in your home as far as items, and finally the ambiance you want your home to exude. You want a peaceful environment, you want to foster a love of learning. What does that mean exactly? What are the tools that your home needs? And how do you let go of some of that control for the picture perfect home in order to have that? What is the balance? Obviously, you cannot let your kids overrun the entire house, that won’t be peaceful for you, no matter how much fun your kids are having in the process. But, you can set up areas that are for specific activities, even if your home is small, or you have no storage. We will be talking about the feeling of home, and what we want for our kids as well as how to balance that with what we want for ourselves. This is just the beginning of this exciting month! You can start now by taking a look around your home. What exactly do you want your home to feel like? Once you start to take stock of what you have, you will be able to see the areas that need the most attention. Is it your kitchen? Or perhaps it is where you do most of your homeschooling, whether in an actual homeschool room, or the living room, or the dining room. What are your struggles in each area of your home? I’m looking forward to digging into environmental wellness with you! This is part of the reason I started writing way back when to show that you can have a simple and healthy environment for your family. It isn’t always easy, but we are going to implement some strategies that will help the process along for all of us! Which area of your home are you most excited to work on?